This set of dynamic microphones is a complete kit of 5 mics for instrument/drumkit miking. It features three different mic's, each for its own field of use. The DK-5 is a complete, versatile mic-kit with an outstanding price-quality balance. The microphones are also separately available. 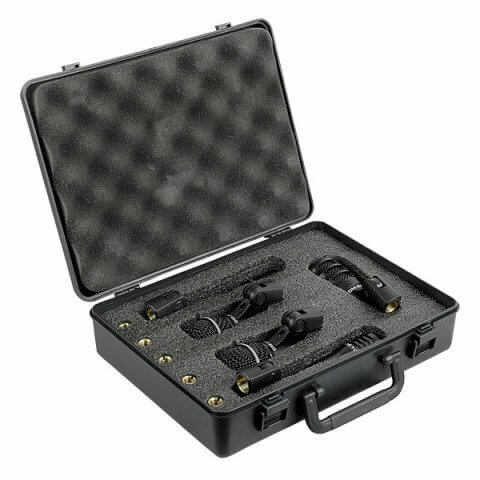 This set of dynamic microphones is a complete kit of 5 mics for instrument/drumkit miking. It features three different mic's, each for its own field of use. The DK-5 is a complete, versatile mic-kit with an outstanding price-quality balance. The microphones are also separately available.